With the calendar year half over, Independence Month is the perfect time to check in on those New Years Resolutions to assess progress and maybe even re-evaluate your goals for the year. Whether your mission was to get fit, travel more or learn a new skill, many people loose sight of those intentions after just a few months. Life gets busy, time flies by and before you know it, it is already July! Reset an intention. In order to reignite your aspirations, revert back to the original goal. Maybe you set a resolution to lose 10 pounds, but isn’t the true intention of that goal to be healthy and feel your best? While it can be difficult to motivate yourself to lose that extra weight, setting a goal to get outside and hike three times a week sounds a lot more appealing. 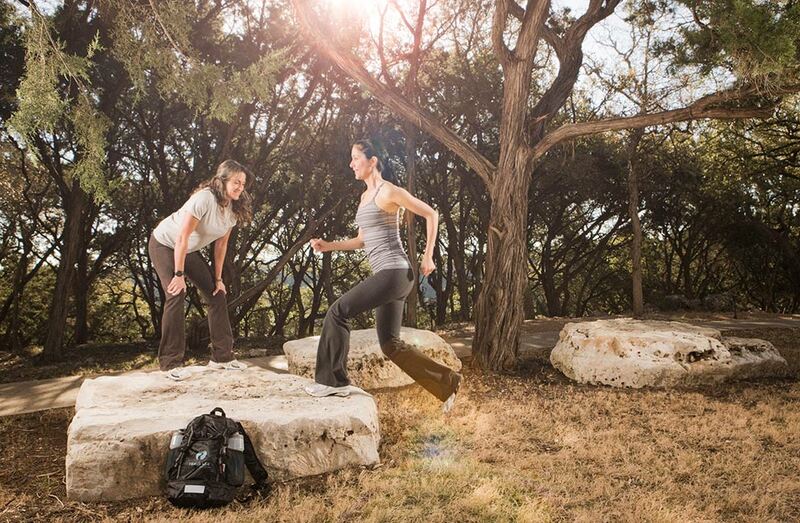 Maybe hiking isn’t your thing, but Zumba is. The point is to focus on the positive and not the negative aspects of your achievements. If you are blazing new trails or finding your groove in a fitness dance class, you’ll likely discover yourself 10 pounds lighter without even realizing it. Buddy up. Designate a friend or family member as your go-to “goal buddy.” Hold yourself and your buddy accountable for your goals. Plan an evening to cook a healthy meal together or attend a yoga class each week. Make sure this person is dependable and reliable, someone you know you can count on to not change plans last minute. The best part about a goal buddy is you have someone to celebrate those small accomplishments with along the way, while simultaneously spending quality time with someone you care about. Talk about a win-win. Make a list. Write down your goals and post them on the refrigerator door or bathroom mirror so that you will be reminded of them on a regular basis. The constant reminder increases your chances of actually accomplishing those goals. No matter what, just remember that nothing is ever a complete failure, just a learning experience! Focus on the positive, learn from your mistakes and move on.